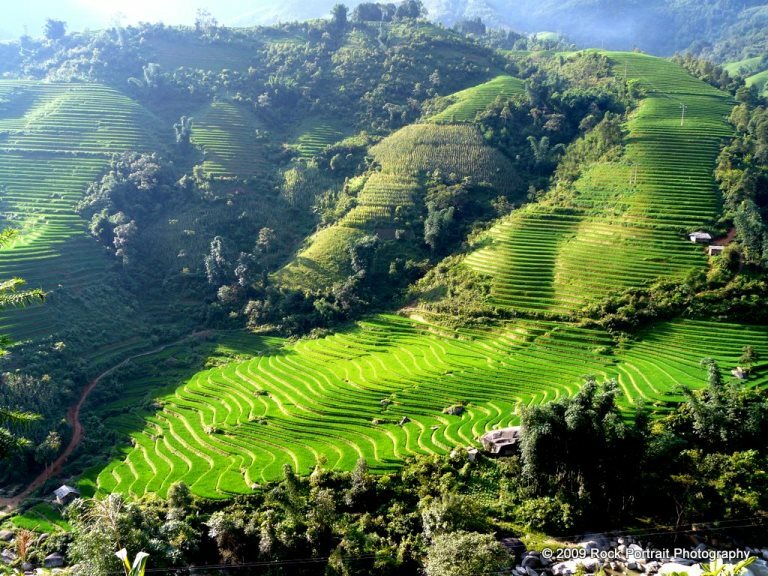 These South-east Asian countries have thrilling and fascinating hill walking, huge areas of landscape, some heavily but traditionally farmed and some combining pristine forest and farmed valleys. And in places remarkably unsullied tribal culture. 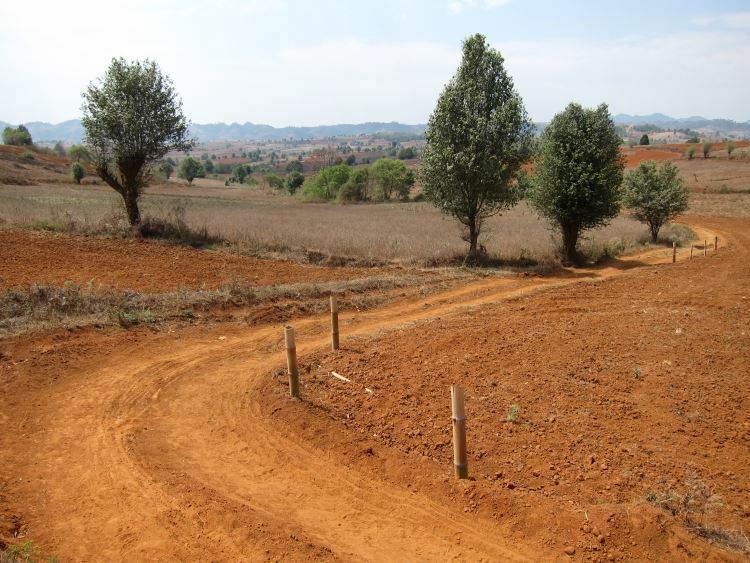 The range of options is huge, and you can fit in a glorious trek as part of a visit to Myanmar, Thailand, Laos and Vietnam. There is also excellent walking in Cambodia. The hills and mountains of south-east Asia, with their remote, tribal villages still relatively unsullied by modern ways, in valleys and patches often separated by jungly ridges, make for thrilling and fascinating walking. This page has been developed for the purposes of creating a Top 100 qualifying walk page from the diverse, yet in many ways broadly similar, walks to be found in these neighbouring countries. Please go to these countries' pages for further details. 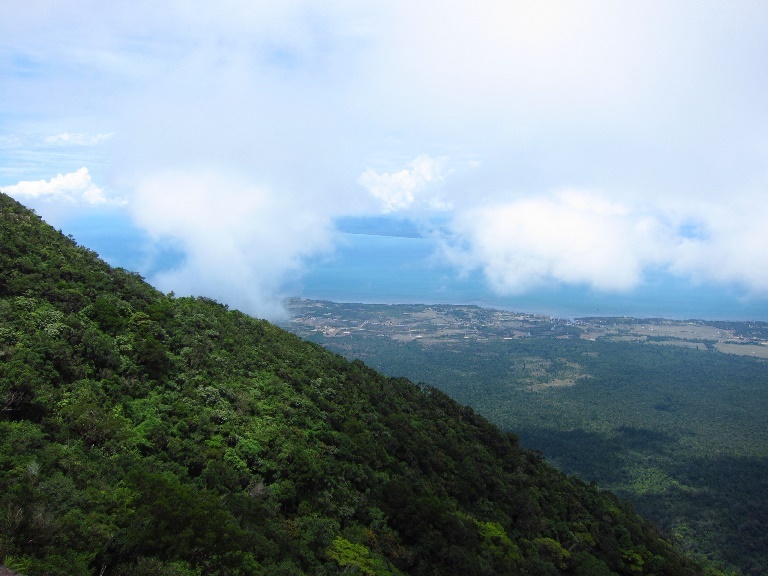 Probably the gem of south-east Asian walking (controversial, us?? 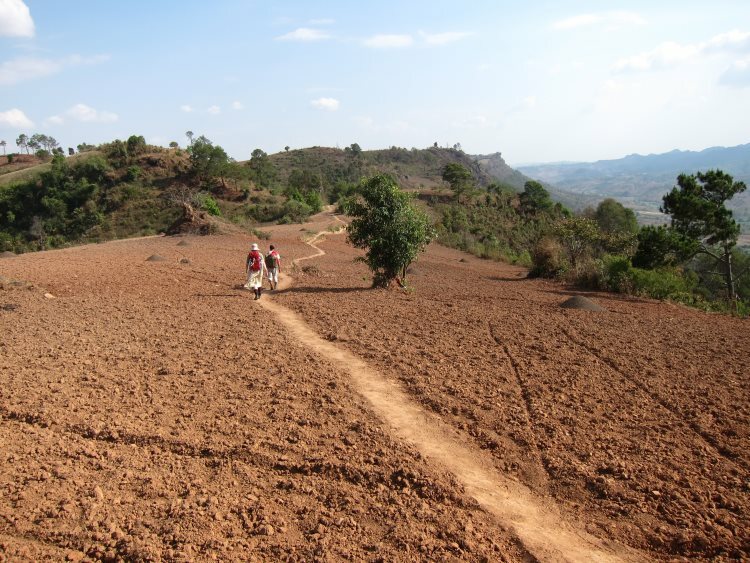 ): a huge area of pristine (or at least remote: a great deal of cutting has gone on) landscape, some heavily but traditionally farmed and some combining pristine forest and farmed valleys, and in places remarkably unsullied tribal culture. The fact that this is largely due to the country's horrendous regime and consequent isolation and lack of "development"is one of those ironies. 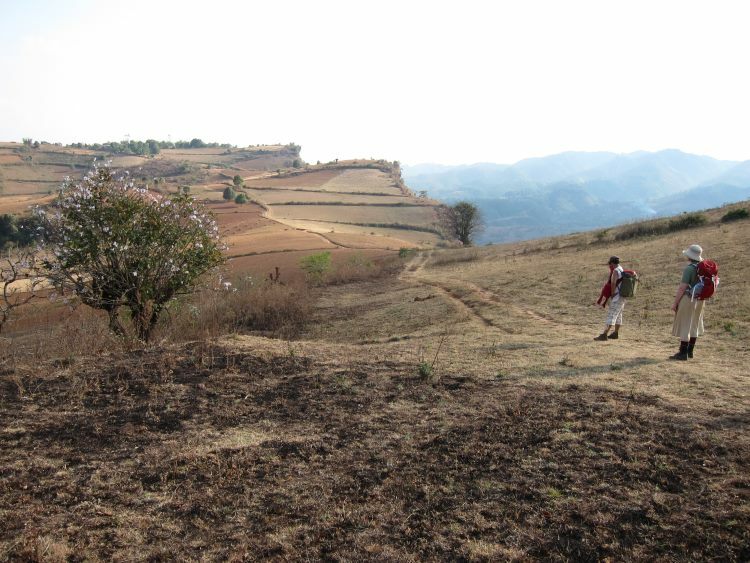 Good walks can be found in the hills and mountains of much of the country, although the Shan plateau in the east has to be singled out for wonderfully varied day and multi-day walks and hikes, walking from village to village among many different ethnic groups around Kalaw, Pindaya and Inle Lake; and Hsipaw and Nanshan, Kengtung and elsewhere. 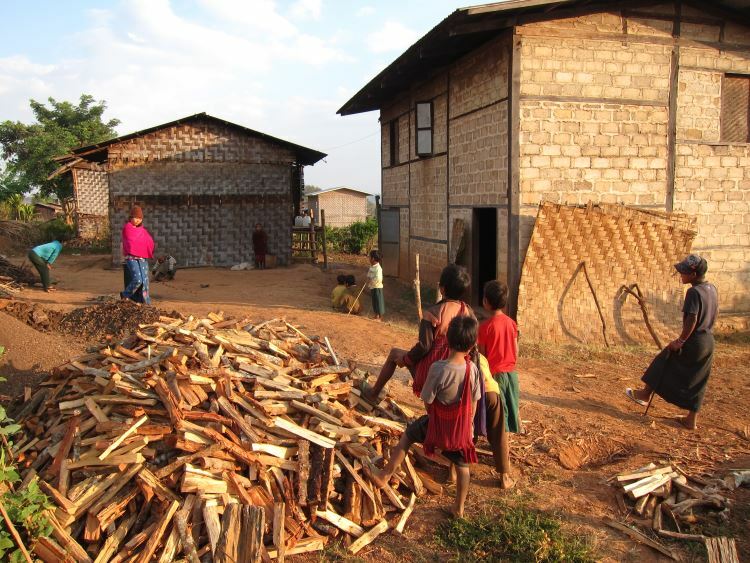 See our Kalaw Area and Kalaw to Inle Lake pages for details of what many would consider the best hill tribe walking, albeit well visited in places and at risk of cultural pollution. 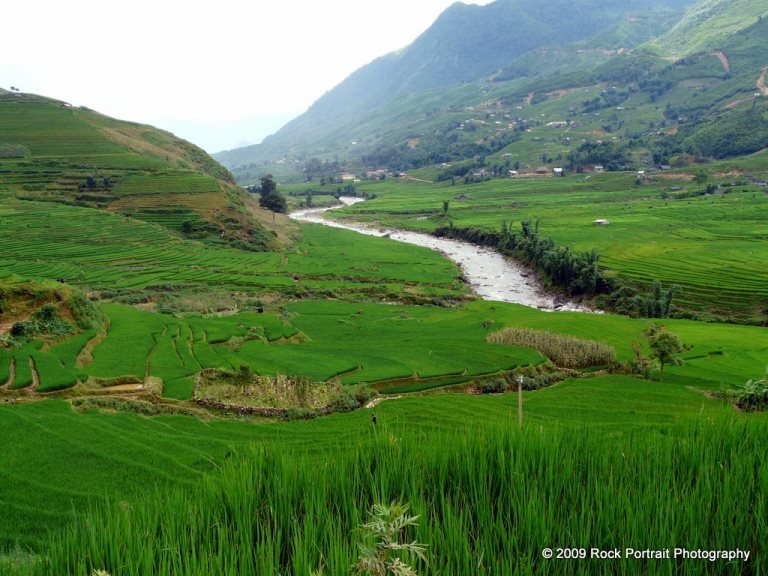 The easterly town of Kengtung (Kyaing Tong) has fine day-hikes in the surrounding area. 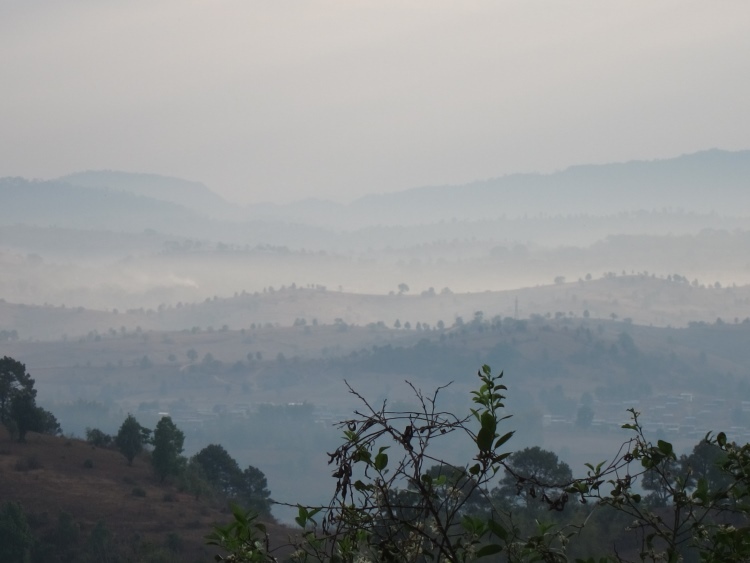 It is (as of 2013) hard to access, but its hills and tribes have a remote and culturally unsullied feel, partly as a result of years of trouble. The Himalayan North provides superb mountain trekking, including passing through remote mountain villages. 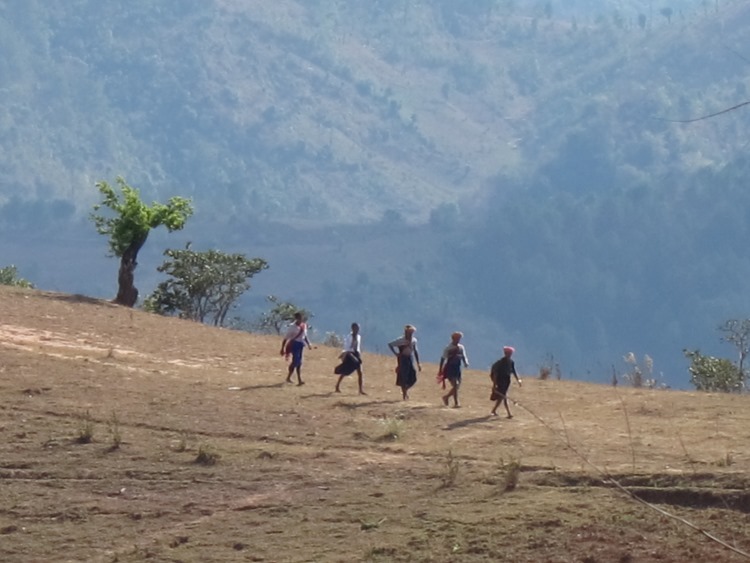 See our Myanmar page for a lot of detail on these walks and on relevant practicalities, including the ethics of travelling to Myanmar. Walking here is exceedingly cheap, so don't be too tough on the bargaining: every penny helps the oppressed locals. Quite a bit of the walking in Thailand can be disappointing: overtouristed, rapacious or inexperienced guiding companies, spoilt landscape and homogenized and worldly villages. But wonderful trekking can still be found, although you will need to go further from the main centres to get there. 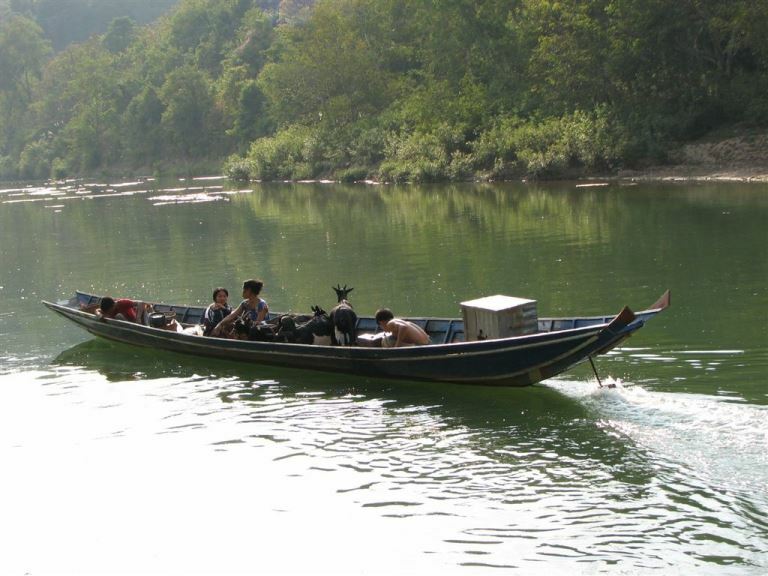 The best areas remain to the north-west of Chiang Mai, around Mae Hong Son and up towards Chiang Rai. This long-term sleepy backwater had more bombs dropped on it during the Vietnam War than any other in history. 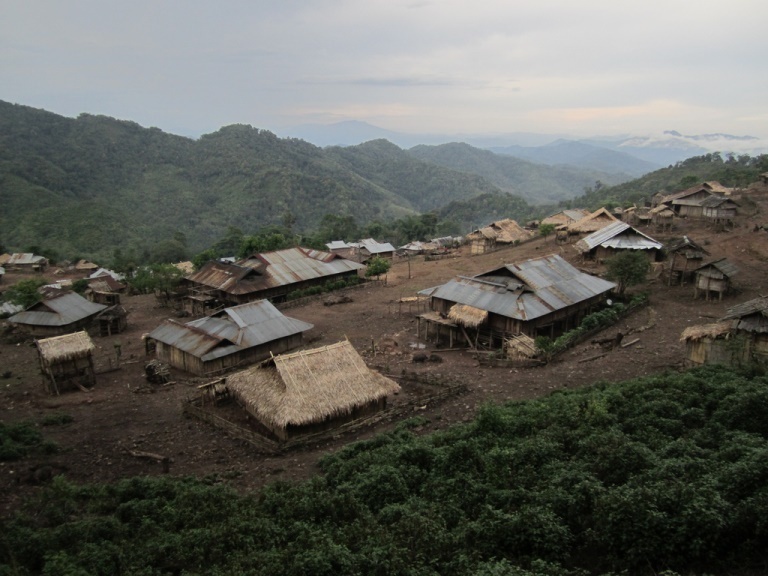 It is gradually emerging from its dark times, and now offers some outstanding walking in truly remote jungle-clad mountains and forested hills, much of it inhabited by tribes who still live poor but very unsullied lives in valleys and clearings. The western mountainous spine of this long, long country, and the deeper interiors of the north approaching the Chinese border, offer a lot of exceptional walking, revelling in fabulous (and much of it still fairly pristine) landscape and visiting villages in the high hills. Much of it is inhabited by tribes who still live poor but very unsullied lives in valleys and clearings. Cambodia is a beautiful, backward and recently tragic country. 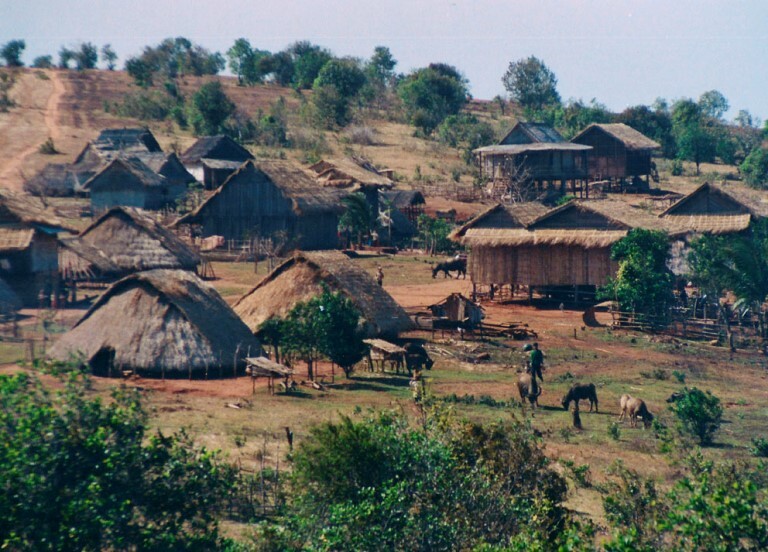 It has an array of jungle-clad hills to walk in, much of it inhabited by tribes who still live poor but very unsullied lives in valleys and clearings. WARNING: These can be tough walks in remote mountains, where things can go wrong and help can be hard to get, and on which you will have to be self-sufficient. Come prepared.